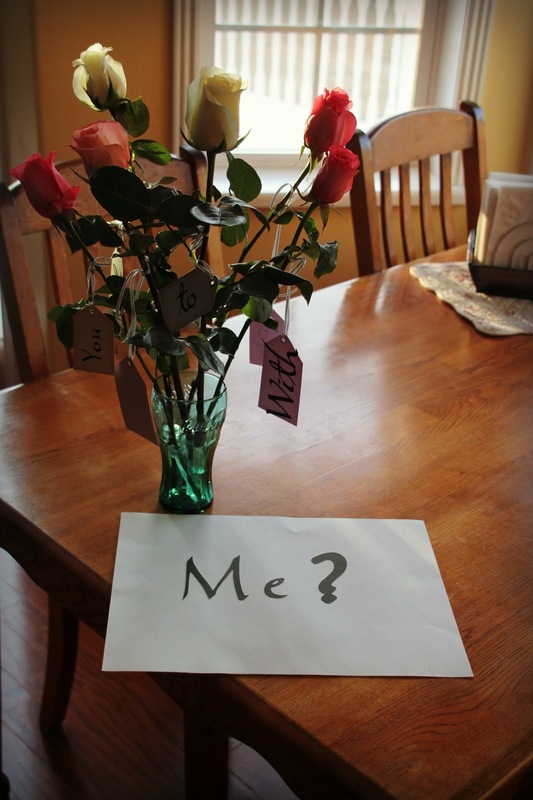 The Man-Cub asked his girlfriend to prom today. Sounds simple, right? 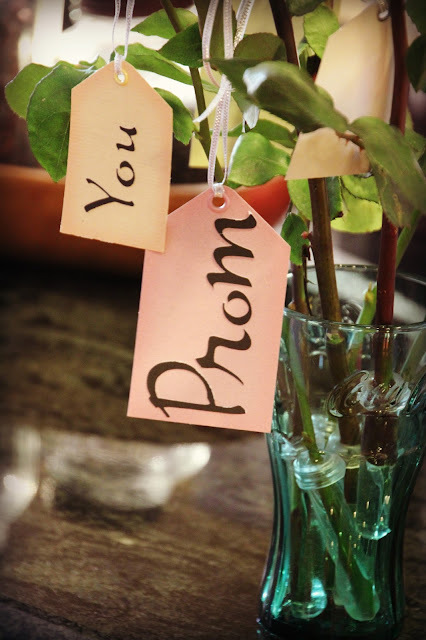 I mean, pimple-faced boys have been asking girls to prom since the 1950's; the boy asks, the girl either says yes or no, and there you have it. 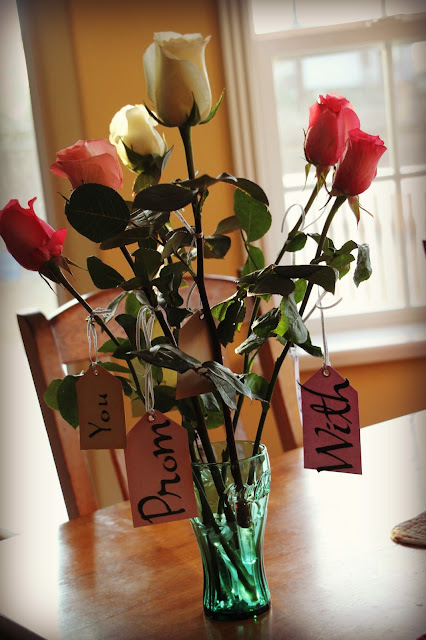 My own prom invitation came on the tail-end of a walk to class, with a casual, "See you after English. Oh, yeah, hey, by the way, we're going to prom, right? Cool". Kids these days? Make a huge production out of this stuff. 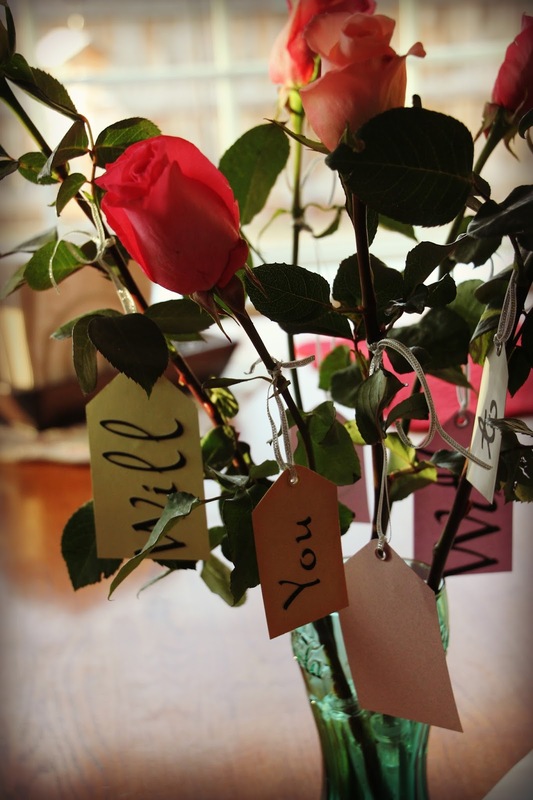 I've heard rumors of singing telegrams and invitations spelled out in rose petals spread across football fields. Crazy stuff. Luckily, while the Cub wanted his invitation to be special, he didn't want to go nuts. 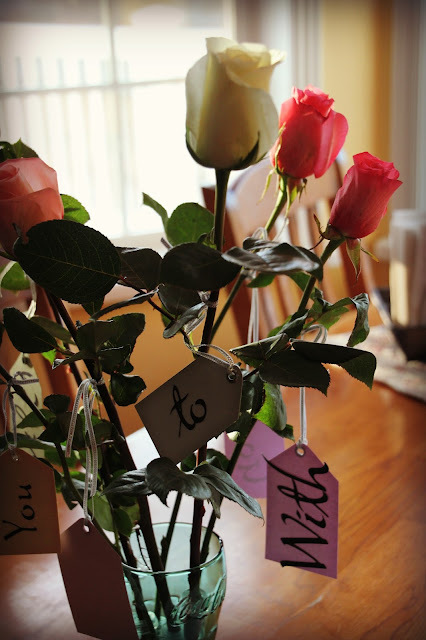 After consulting with his girlfriend's best friend, he came up with the idea to present his girlfriend with a single rose, bearing a tag with a single word of the invitation at the beginning of each class during the school day (he had a similar idea for a homecoming invitation not too long ago, but never got the chance to ask (long story) thank goodness this time, he had the "yes" pretty much in the bag). The Cub asked for my assistance in purchasing the flowers and in making the tags, but, the rest of the plan was all him. He charmed the school secretary into delivering the roses each hour, until, the final word "me", at which point he showed up with a much larger sign and a full dozen roses. 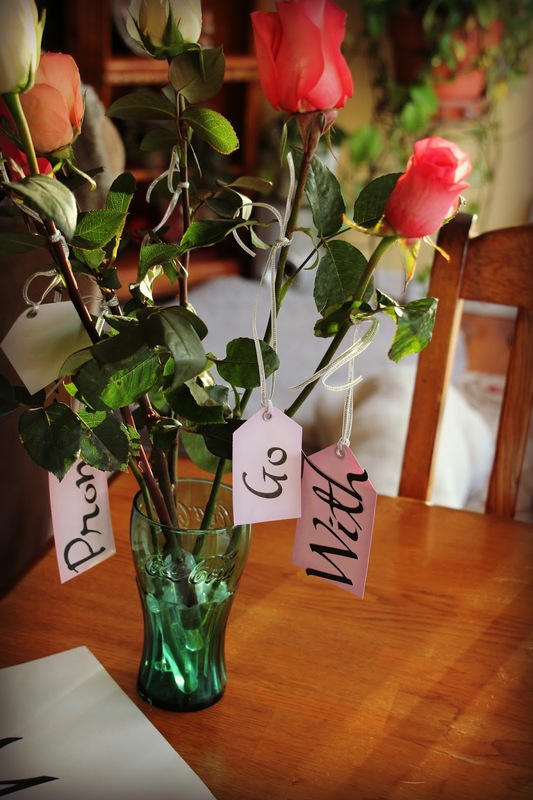 It was a pretty sweet plan and it worked out; the girlfriend said yes (she's probably been waiting for him to get off his hiney and ask for weeks now). Looks like it's time to get this handsome guy fitted for a tuxedo!